A Brazil travel visa affixed in a valid passport is required of those wanting to enter the country. The requirements for each type of visa are listed below. As of August 4, 2015, all types of visa applications must be delivered with all documents already uploaded. The same picture and signature must be used on both uploaded documents and those presented in the Consulate. Click here for a guide on how to upload. IMPORTANT: Applications with no uploaded documents will be returned and processing fee may be charged. Keep in mind that original documents still need to be presented. You may also apply for a Brazilian visa yourself or get a friend, family member, travel agent or visa expediting courier service to submit the application for you. If you need the assistance of a qualified visa expediter, we recommend It's Easy Passport and Visa Services for getting a visa for Brazil quickly. There are ten types of visas grouped into four categories: Tourist, Temporary, Permanent and Diplomatic. There are seven different temporary visas. The Brazil tourist visa is for foreigners who enter the country for tourism, to visit friends or relatives, or to participate in seminars, artistic events, and sports competitions. You are not allowed to receive payment if you speak at a seminar. Participants in competitions may receive prize money but spectator admittance at the events must be free. An invitation letter from the sponsoring organization in Brazil providing details about the seminar/sporting event is required. This type of visa allows you to stay up to 180 days within the country in a period of 12 months following initial entry. This does not have to be consecutive but can be multiple entries. VITEM-I is the Brazil student visa that is issued to foreign exchange students. This type is also necessary for those who plan to participate in paid cultural, technological or scientific missions; research or professorships; charitable or religious volunteer work; technical training for Brazil-manufactured equipment; or unpaid training for amateur athletes between the ages of 14 and 21. Those who seek medical treatment in Brazil must also apply for this type of visa. The Temporary Visa II is also known as the Brazil Business visa. It is for those who enter Brazil for business meetings, to participate or be an exhibitor in a trade show/industrial fair. This visa is also issued to journalists, crew members without an international crew card and those entering to adopt a Brazilian child. Note that when entering for adoption, custody must have already been granted. This type of visa is for paid participation in athletic or performing arts events. 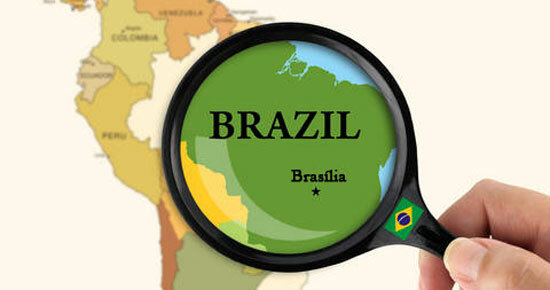 A pre-approved work permit by the Ministry of Labor in Brazil is required. This Brazil visa is for those pursuing undergraduate, graduate or post-graduate academic or theological studies in Brazil. This also applies to students under unpaid internships and those pursuing technical short-term studies. This Brazil visa is also known as the Brazilian work visa, and covers a wide range of purposes including temporary service in the Brazilian government. Any paid employment with a legal Brazilian entity, internships of longer than one year, technology transfer contracts, technical assistance contracts, training or work experience following graduation from a professional degree program (including medical residency,) or crew memberships aboard offshore platforms or foreign cruise ships also require a VITEM-V. This visa may also be applicable to dependents of VITEM-V bearers under certain conditions. This visa type applies to media correspondents who will not be receiving compensation for work from a Brazilian organization. VITEM-VI may also be issued to immediate family members of the bearer for stays beyond six months. Travel by persons with theological or academic education in religious studies for the purposes of religious or missionary work requires this type of visa. Those who would like to obtain a visa to reside permanently in Brazil because of family, retirement, or personal investment need to obtain a permanent visa. This same type also applies to managers or directors of companies or religious organizations. Those who receive a position in a Brazilian scientific, research or academic organization should also use this visa. This type is for those who plan to enter the country on a diplomatic or official mission. Once you receive your business or tourist visa, you have 90 days to use it. The Brazilian Consular Office reserves the right to make other requirements as they deem necessary. Click here to apply for expedited Brazilian visa courier service. According to the Consulate General of Brazil in San Francisco, "Brazilian tourist visas are valid for multiple entries within the period of time shown on the visa stamp." The length of time permitted by each visa may vary, up to a maximum of 180 days in a given 12 months. If you are granted a visa, you must enter Brazil within 90 days of receiving the visa. If you decide to remain in Brazil beyond the 180-day limit, you can request a one-time extension. However, your request should be made at nearest post of the Brazilian Federal Police Department at least 30 days before your time expires. Those who enter the country with this type of visa cannot engage in any paid activities. The time it takes to process a Brazil tourist visa application depends on the consulate through which you apply. Some consulates take just a few days processing visa forms while others take as much as twelve days or more. To acquire this business visa for Brazil, you are required to submit a notarized letter from your employer stating the nature of your business, your title or function in the U.S. company, exact nature of business to be conducted in Brazil, name(s) and address of the Brazilian company/companies involved, name of your contact person in Brazil, dates of arrival and departure and financial responsibility for all costs involved in the trip. This must be done on official company letterhead and signed by a senior manager. Business letters lacking of any of the aforementioned information and/or original signature will not be accepted. The cost of this visa may vary depending on the consulate to which you apply. If you want to get it more quickly, you can pay an additional expediting fee. The application form must be completed online, then uploaded and also submitted at the consulate that has jurisdiction over the state in which you reside. Again, the application must be submitted by you or someone you authorize if submitted in person. The Visa Request will provide instructions on the filling of the Form and open the actual Form to be filled. When you complete the procedure, you need to "Send" the completed form and print your processing number. You need to take this number to the Consulate with the original printed form, a photo and travel itinerary attached and the money order in the amount of the visa application fee. You can submit the application for a visa to Brazil yourself but you might face large crowds and long lines. Parking isn't always easy to find either. The Brazil Embassy requests that you not call them about your application so you won't be able to track your process. Errors or incomplete information on your visa application form can result in denial of your visa and delay in your plans. The best way to avoid the crowds, the lines and the difficult parking is to contract an expedited visa courier service to hand deliver the application for you. We have reviewed many of these services and found one that stands out from the others. They offer excellent service and a great guarantee for fees that are below the competition. 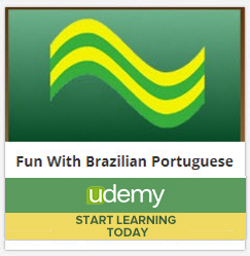 Brazil travel tips and destination articles.